- It enhances the body and spirit. The Essential oil of wild orange is due to the stimulating aroma and numerous benefits for health, one of the most sold essential oils of doTERRE. * Because of the high content of monoterpenes, wild oranges have invigorating and cleansing properties, making it ideal for supporting the healthy functioning of the immune system in seasonal diseases. many other essential oils of citrus, including wild orange, contains a lot of antioxidants that help maintain general health. * Daily it can be enjoyed for body cleansing * or used as a natural cleanser. Using an essential oil of wild orange in a diffuser will give us energy and increase our mood and feeling, and it will also clean the air. Wild orange further improves the performance of each mixture of essential oils with a fresh, sweet and refreshing aroma. 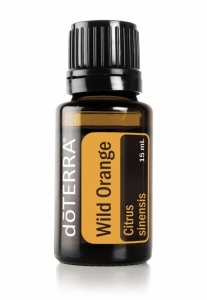 - For more energy, one or two drops of essential oils of wild orange are packed on the palm, together with the same proportion of essential oils Peppermint and Frankincense. We rub our hands and breathe a deep breath from them, and then we oil the oil on the back.